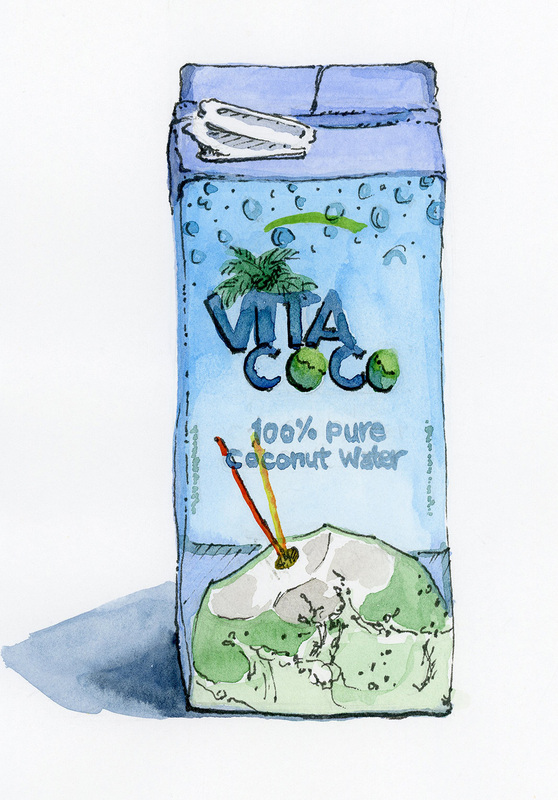 I had been hearing a lot about how much better coconut water is for you post workout than the regular sports drinks that are loaded up with sugar and sodium. I happened to spy this particular brand of coconut water in the refrigerated section -- 100% coconut water and nothing else -- and picked it up. It tasted mildly of coconut, did not taste artificially sweetened and didn't leave an aftertaste. The container listed quite a few healthful benefits, which were also backed up by what I had researched online. Later in the week I picked up another brand of coconut water sold in cans at my local grocery store. That brand unfortunately had additives such as sugar and sodium plus little bits of coconut pulp. It wasn't bad, but reminded me more of bubble tea. Not exactly healthful, but tasty. © 2018 Josie Smith. All Rights Reserved.